My original Wikipedia page was deleted after being published for over two years. Here is what remains. 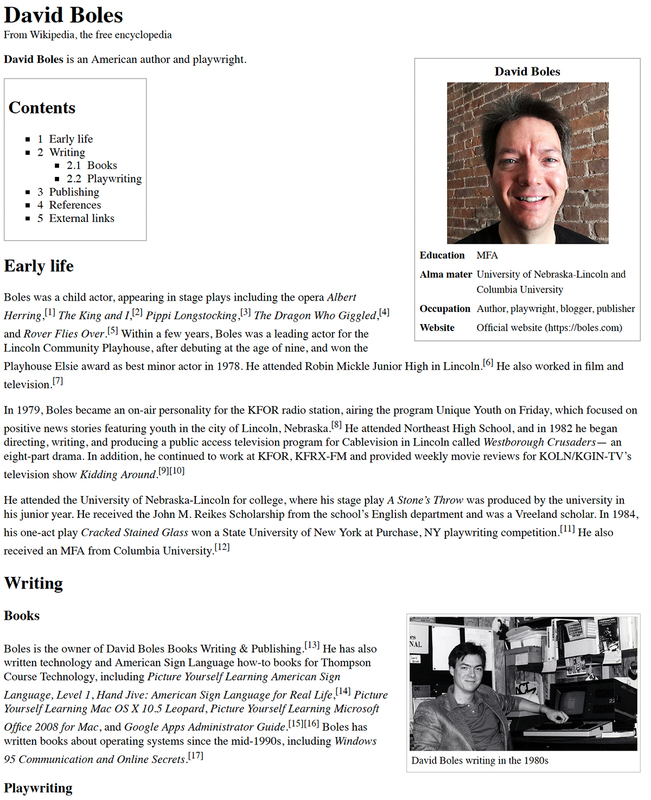 You may view the preserved Internet Archive version of the foundling page. 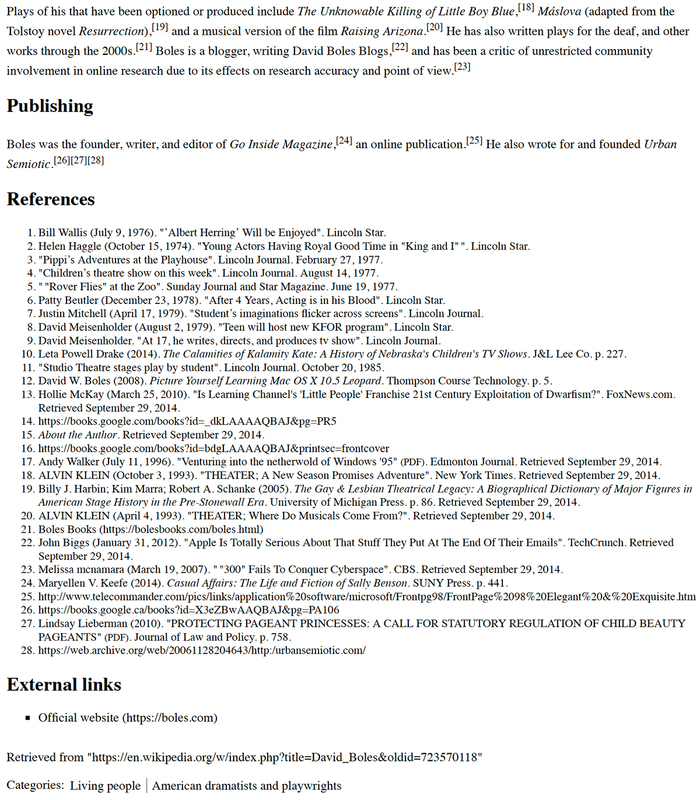 Here is a link to a .PDF version of the David Boles Wikipedia page, plus another example -- the official one -- previously downloaded from the Wikipedia website.